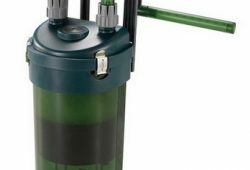 In this article I share what I learned about the following question – How To Control Hair Algae In Fish Tanks. Who can deny what a nuisance is hair algae in fish tanks. If environmental conditions are right to it, hair algae can grow extremely fast to a point that it will overrun the aquarium. And to make matters worst, no matter how hard you scrub them off, it will grow back. So the most important aspect of controlling hair algae in fish tanks is not to fight the effect but to try as much as you can to eliminate the cause. Hair algae is tough, tough enough to grow on virtually any surface. But although it is unsightly, hair algae like any other plant does provide some benefits to the aquatic life. It does oxygenate the water and there are fish that feed on the algae. So if you want to get rid of hair algae, do it as a gradual process or it might affect the fish. On the other end of the scale, having too much algae is bad to the fish too. So how do you properly control hair algae in fish tanks? Here are some of the main factors for you to work on. 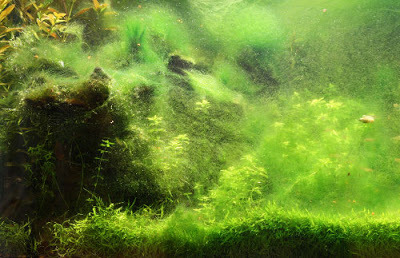 Controlling the level of nitrates in your aquarium is very important in controlling hair algae on fish tanks. Hair algae thrives on high levels of nitrates and suddenly changes in the level will cause algae blooms. As long as these levels remain high, they will keep growing back no matter how much you remove them. The key here is to not overfeed your fish and remove any excess food. Another thing you might want to try is using live food. As long as the feed is not dead and rotting, it would not raise nitrate levels. As long as hair algae is the sole consumer of all that yummy nitrate, it will thrive. Add in some plants and they will compete with the algae for food and eventually starve it out of your aquarium. There are a number of aquatic animals that love eating algae. These include Scarlet Hermits and Tangs to name a few. But don’t just go out and buy some immediately. 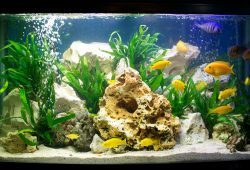 Speak to the specialist at the fish shop and explain about your situation and your aquarium specifications, especially its size and what fish tank filters you are using. He would be able to provide a better suggestion on the most suitable creature that you should get for your situation. Algae is a plant and like all plants, it thrives in places that gets a lot of sunlight. 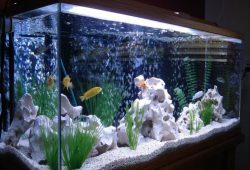 Moving your aquarium to a less bright area of your home will hinder the growth of hair algae in fish tanks.